MIXTAPE: Beautiful Black Children - "B.B.C. 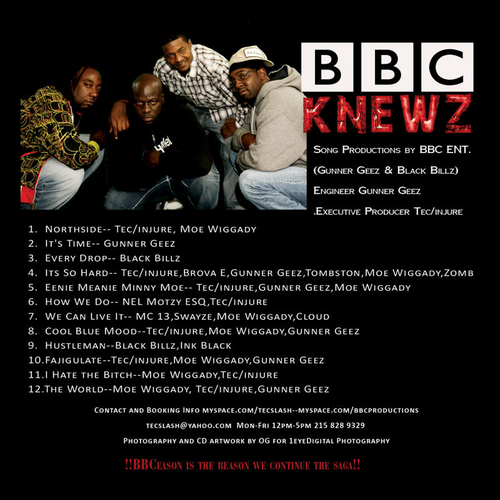 Knewz"
Timeless and Beautiful music from North Philly's own Beautiful Black Children. True Hip Hop at it's finest! 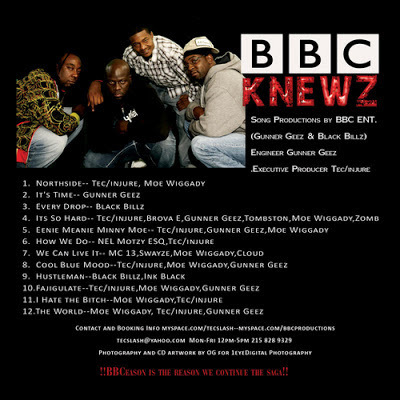 Featuring classic songs from Tec/Injure And Gunner Geez, BBC, Moe Wiggady, Brova E, Tombston, NEL Motzy ESQ, Zomb, Ink Black,Cloud, Black Billz, MC 13 and Swayze.